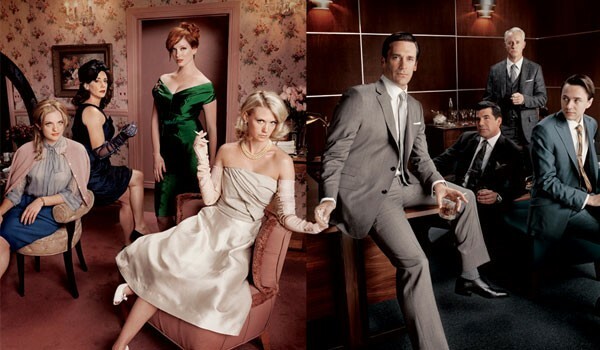 Season 5 of “Mad Men” is set to premiere this Sunday evening (March 25th) and it’s a big deal. Why? Well, first let me be honest and say that I’ve never watched even one single episode. Am I missing out? I just might be. Although I haven’t seen any Mad Men episodes, I do know the return is a big deal because it’s been 18 months since AMC aired the last episode of season 4. WOW! To say fans are ecstatic about this premiere is a definite understatement. While I haven’t actually seen the show (which I just might have to start watching) I have kept my eye on the “Mad Men” fashions for quite some time. The women of the 60s just seem to get it right when it came to fashion…and then the 70s, 80s, and 90s hit. Oh boy. My daughter and I were at The Domain in Austin, TX over the weekend and I saw a huge “Mad Men” display at Banana Republic. I just could not stop staring at the outfits. I loved them all! Here are a few of the pieces from their Spring 2012 Mad Men collection that stood out to me. I would wear any of these in a heartbeat! Aren’t they beautiful? You can see the entire women’s Mad Men Collection here. Don’t forget they have a men’s collection as well here. You can also view a behind-the-scenes look at the Mad Men Spring 2012 collection photoshoot on the Banana Republic blog.